When your cloud assets are breached by a virus …. Your machine gets a virus on it. You use anti-virus to kill it, or rebuild … move on with your life. Your cloud environment gets infected with a virus / ransomware. Now though instead of just one machine, this virus (for simplicity of writing) moves within the environment infects other systems. After initial infect, this virus calls back to a command and control server and shares intelligence about the hosts it has infected (ip address space, user details, security protocols, vpn details, routing tables, user information, and any database details, etc…). These details, much like a robo-call spammer, are logged and shared with other attack networks and targeted further, but now customized to the infected host footprints. The result – higher success rate of breach for similarly managed systems. Higher value to attackers who now have rich data store to attack and to sell on black market for interested parties. The impact of such a breach is best understood when the fact that these are networked attacks is acknowledged. These are learning attacks that build upon prior successes. To undo the damage, full system refreshes are required, all of the keys that linked to those environments need to be reset, and any tokens or ‘obfuscation’ techniques changed. Cloud allows for auto-scaling and self-healing, but it works the other way too. Attackers can auto-customize their attacks to fit our profile. 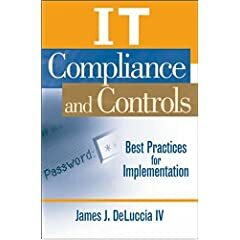 After decades of making passwords harder and harder manage, while the whole time every security professional and data scientist could show you how it did not make account credentials more secure, NIST recently published their four-volume SP800-63-3 Digital Identity Guidelines that made it official. Stop it with the annoying password complexity rules. They make passwords harder to remember. They increase errors because artificially complex passwords are harder to type in. And they don’t help that much. It’s better to allow people to use pass phrases. Stop it with password expiration. That was an old idea for an old way we used computers. Today, don’t make people change their passwords unless there’s indication of compromise. Let people use password managers. This is how we deal with all the passwords we need. Playing with some projects on the intersection between human expression and the state of affairs related to hobbies. Explored natural speech and sentiment analysis. Worthwhile to those interested in parsing large spans of consumer experiences. The applications to cybersecurity are immense. I look froward to sharing my experiences and open source adventures. Interesting paper demonstrating a threat vector from replacement parts to consumer (easily commercial / industrial) electronic devices. This paper shows, ‘attacks by malicious peripherals are feasible, scalable, and invisible to most detection techniques.’ The authors of the paper demonstrate several use cases and prove the effectiveness of the technology. Product cybersecurity extends well beyond the development and operate life cycle of a product, and clearly requires the maintenance phase too. The greatest challenge will be the attractiveness of non-branded 3rd party parts due to their $ savings and lack of IP protection. Other ideas and thoughts?